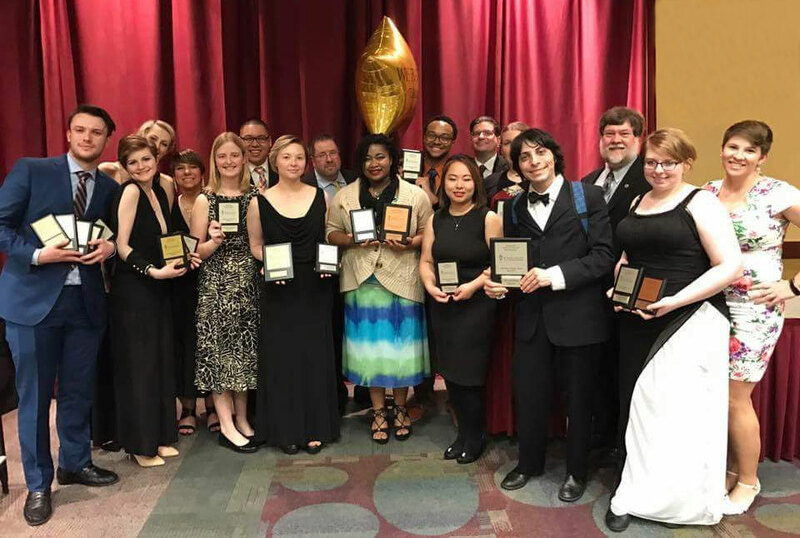 The Webster University forensics and debate team competed brought home three team sweepstakes awards and a repeat national championship from the Pi Kappa Delta National Forensics and Debate Tournament at Boise State University last week. Scott Jensen, School of Communications professor of sports communication and former longtime director of forensics and debate, considered this tournament a special one. “It was the first time I attended a national tournament without having a team to coach," he said. "It was inspiring, having watched the evolution of this team over the year.” Jensen was also in his final year directing the tournament. Highlighting the weekend’s results was a national championship won in Prose Interpretation by MacLain Naumann. Naumann is a two-time national champion in this event, having won last year’s tournament as well. Congratulations to the Forensic and Debate Team! Also topping Webster’s awards were three team sweepstakes awards, in each category—Individual Events, Debate and Combined Overall. Webster University also received additional recognition within Shawn Hoover (class of 2012) receiving the Order of Attainment for non-forensic educators. The award recognizes distinguished service and use of forensic and debate skills outside of forensic and debate education. In the tournament, Webster competed against schools of all sizes, ranging from large public universities to smaller private colleges. 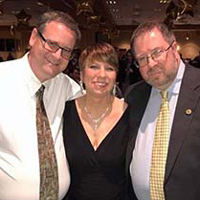 See the entire list of Webster student winners and learn more about the Jensens’ long involvement in this tournament in this story at the School of Communications.